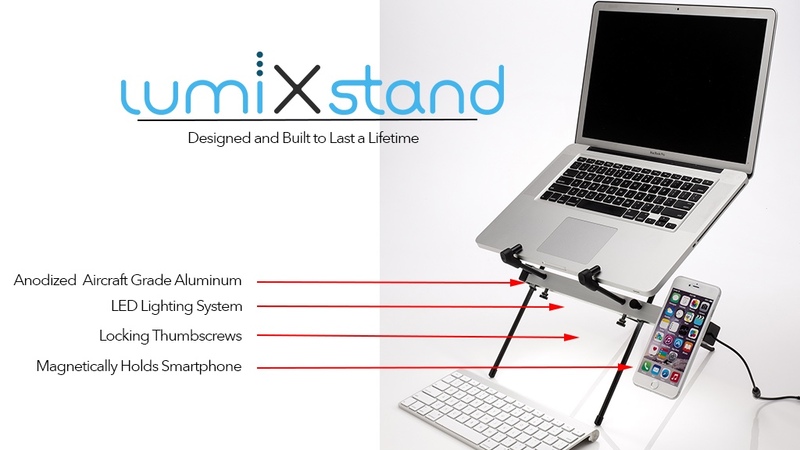 LumiXstand is a new and unique laptop stand, but it is more versatile then that. It helps you clean up your desk by removing the need for a extra light via a built-in LED strip and keeps your phone in perfect position as well. Therefore helping you to clear up so important desk space and keep your back streight and healthy.